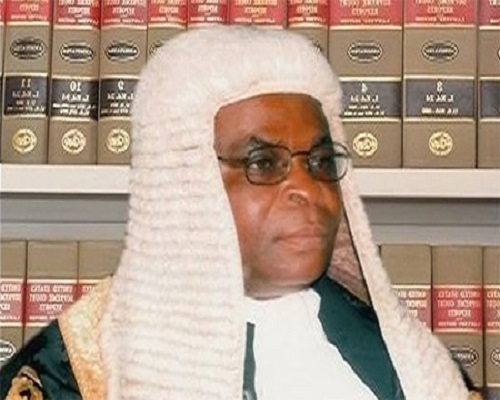 At least 150 Senior Advocates of Nigeria (SAN) have signalled interest to appear before the Justice Danladi Yakubu-led Code of Conduct Tribunal on Monday in defence of Walter Onnoghen, the Chief Justice Of Nigeria (CJN), in connection with allegations slammed against him. Sabastine Tartenger Hon, a senior advocate, disclosed this to Daily Trust via a phone conversation. The Code of Condict Bureau is acting on a petition written by Dennis Aghanya, the Executive Secretary of the Anti-Corruption and Research-Based Data Initiative (ARDI), accusing Onnoghen of financial mistrust, including operating domiciliary foreign currency accounts, in apparent disregard for the law that prohibits public officials from having such. In another statement released by the senior advocate, he encouraged the CJN to be strong, describing the charges against him as an attempt to muzzle the judiciary. His words: "While I know that the Chief Justice of Nigeria does not enjoy immunity from criminal prosecution, I see this move by the Federal Government as dangerously political and tendentious. Contrary to Hon’s position, Johnson Esezebo, a Lagos-based lawyer, said the CJN should be held accountable if he is found wanting of the law. He cited a case by Justice Akinola Aguda, who gave maximum punishment to a lawyer accused of wrongdoing because a lawyer ought to have known better. He reasoned that lawyers must remain the fortress of the people, adding no matter the people’s nomenclature, tribe or religion, "we should be guided by the law".